To summarize what I’m packing, most of it is for after the birth! I know from doing this before at the same hospital that I don’t really need much to actually labor and have the baby. 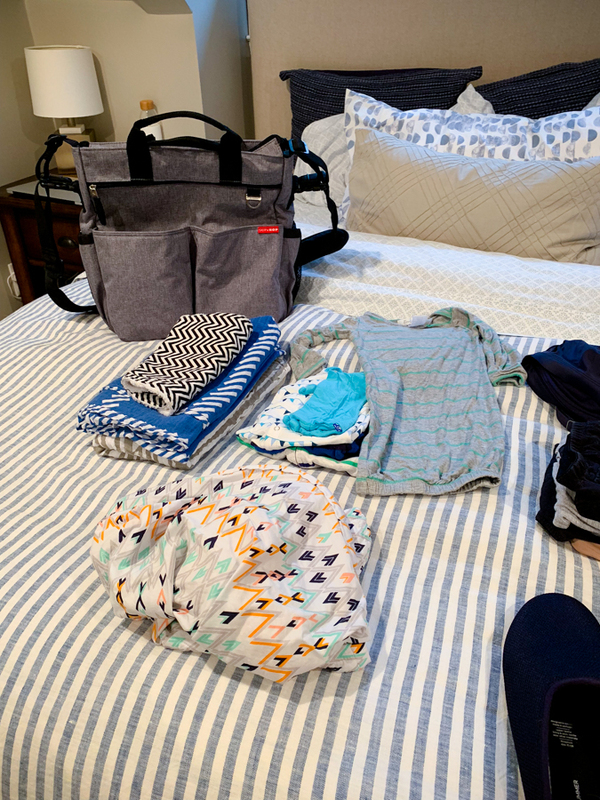 Here are the two posts I reference for packing my bag with Mazen (these posts were so helpful for me to reference this time around! ): Packing The Hospital Bag and Hospital Bag Reflections. All toiletries I would need for a weekend away, including nice-smelling shampoo, make up and jewelry because I want to look nice! 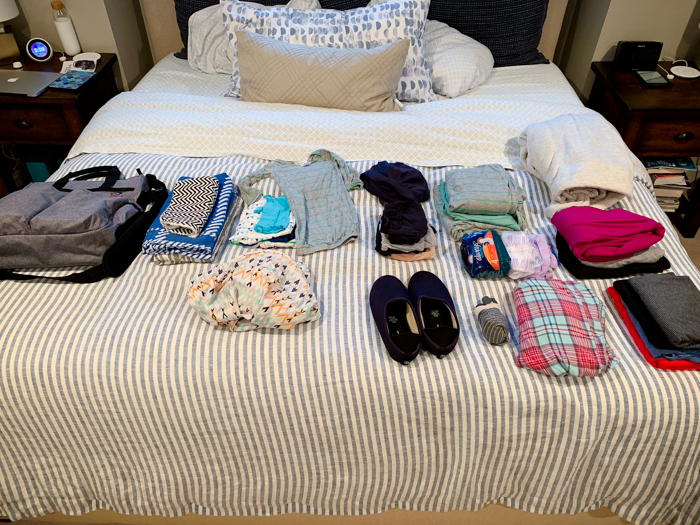 On the planning front, I’m also doing a few things every day to get ready for birth. Most often I have them on a spoon with peanut butter for a snack. This article (with links to research inside) has me convinced dates have magic powers. Plus, I love them! 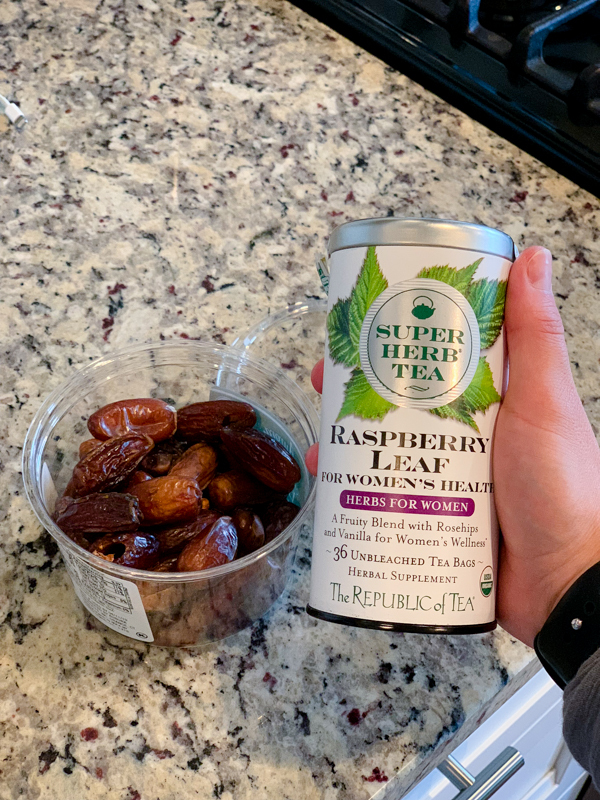 Raspberry leaf tea is supposed to tone the uterus muscles, shorten labor, and prevent excessive bleeding. I’m trying to have one or two cups per day. I make a big french press, add some honey, have one mug hot and then sip it cold the next few days. I like both the tea and dates, so I don’t really mind if they “work” or not. At the minimum, the placebo effect always helps! 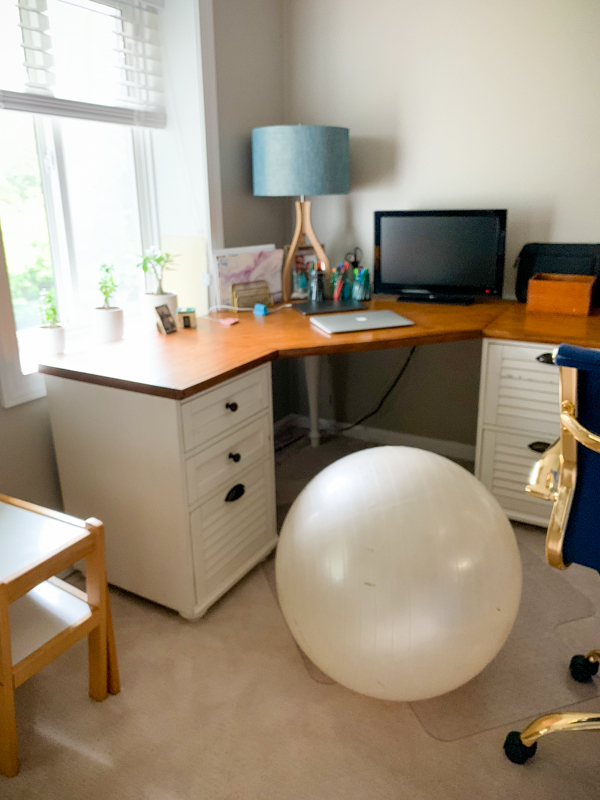 My friend Lynsie lent me her yoga ball so I can sit and rock around while I work at my desk. I’ve heard it’s good to keep your knees lower than your hips, and I try to move around more than if I were sitting immobile in a chair. At bedtime I’m doing Malasana squat on a yoga block. I reached out to my Facebook mom’s group and borrowed two yoga blocks from another mom. I’m sitting on one each night for a few minutes. It’s my favorite pose we do in prenatal yoga, and I find it really relaxing and helpful for my low back too. It’s also good to get all those pelvic ligaments all loosened up! I’m also trying to do a handful of cat/cow stretches and pelvic circles on my bed each night before getting in. This all takes a total of 3-5 minutes, so it’s not a lot. Also I should add “staying active” as an assumed bullet to this list. Walking a little every day at the min! 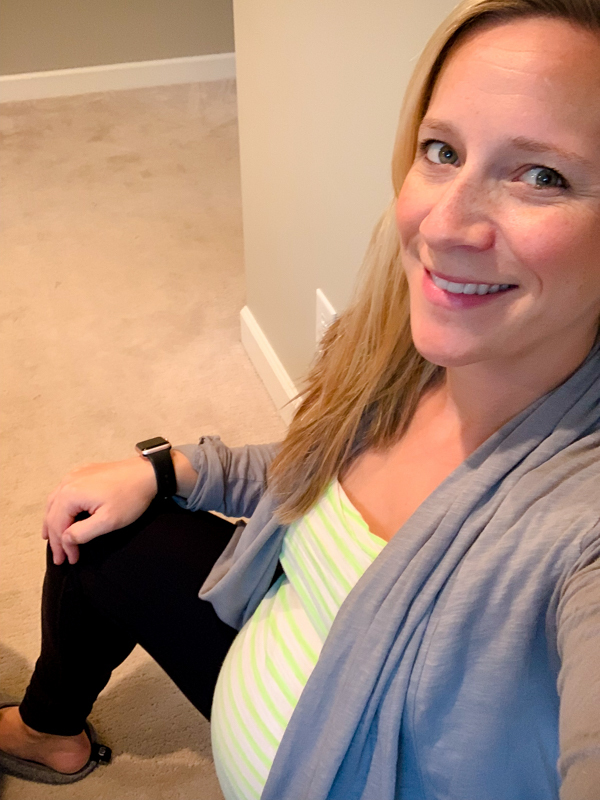 I’ve been doing all of these throughout my pregnancy, because I’m a big believer that if the body is aligned and limber, the delivery will go smoother. So I have appointments scheduled for these both in the next few weeks and I’m trying to make sure I get to at least one yoga class per week. Tell me some of the things you did to both physically and mentally prepare?